Jim Atwood in Japan – Page 2 – Jim Atwood in Tokyo, Yokohama, Nagano, and Nagoya! Last weekend I picked up a used Ensoniq ASR-10 Rack Sampler in the used music shop here in Nagano-city, JAPAN. It was pretty cheap mainly because the sales clerk couldn’t provide an OS disk, manual, or any other accessory. Thus he couldn’t properly test the product, so he basically sold it as junk and practically gave it away. I bought the sampler because I’ve always been a big fan of the ASR-10 keyboard, but never found one for a reasonable price in Japan. Although I would have probably preferred the keyboard version, the rack works out well because I feel I already have too many synths and samplers as is. So, this rack shouldn’t take up much extra space. The condition of the ASR-10 rack is excellent. In fact, inside it was pretty much spotless with no visible signs of wear or dirt. The outside had no scratches, but it was missing the rack ears. I powered up the ASR-10 rack after acquiring an OS disk copy and it booted just fine. I noticed that the OS was 3.53 and the firmware was 1.50. Note I had to create the OS disk using my Windows 98 laptop in DOS using special Ensoniq software. The Ensoniq ASR-10 rack works fantastic in all areas with the exception of the SCSI interface. Only ONCE, could I successfully boot the ASR-10 rack and get the “searching for SCSI devices” message upon startup. At that time I had my trusty blue Iomega 100MB zip drive with disk inside ready to go. I was able to get to the Format SCSI Drive screen. I proceeded through all the steps even getting past the Interleave screen. When it hit formatting, it just blinked for a second and then reverted to “disconnected SCSI device”. I have since been unable to get back to the “Searching for SCSI Devices” screen during the boot stage. Frustrating! Note I don’t believe I got a light blink which indicates the ASR-10 detected the Zip drive. I completely took apart the ASR-10 Rack and checked all of the fuses which tested just fine for continuity. I then pulled and reseated all of the cabling which included cleaning. Everything looks amazing inside, but unfortunately, the SCSI simply doesn’t work right now which has left me unsure about what to do next. Other than the SCSI problem, the Ensoniq ASR-10 Rack works perfectly and it’s really easy to sample and jam with right away. Currently I have 16MB of ram on board, but it will be a chore loading and saving all that data without the SCSI working properly should I choose to utilize it all. The floppy drive works great and I also have a backup HxC Floppy Emulator that works too should I require another drive. Note that I have tested the ASR-10 rack with a working Iomega 100MB SCSI zip drive, Olympus SCSI MO drive, 2GB SCSI hard disk, and an old SCSI CD Rom drive that all work with all of my old samplers. I don’t believe I have an SCSI cable, drive, or media problem. The issue resides somewhere inside the Ensoniq ASR-10 rack. No doubt I’ll be making great use of the ASR-10 rack as it’s extremely easy to use and sounds amazing. It’s so much easier to use than my old Akai gear in fact. I just wish I could get the SCSI to snap out of it and start working. I’ll update this article should I find a solution. Stay tuned! NOTE #1: A few times I got the infamous ASR-10 “Error 129 reboot” message. To fix this you need a 100% working OS floppy disk. There are some bad OS images floating around including those on sites where everybody gets them. After using a quality floppy disk and image, I was able to completely eliminate the 129 reboot message. I haven’t had it all week, not once. I have about 3-4 bad image disks from various sources and they literally flood my ASR-10 with 129 reboot messages. The error is a software one, which means you need a decent software image. I’m a big fan of the Roland Fantom X series keyboards. I currently own the YASE software and while it has worked well, I’ve grown tired of the activation process when moving to different computers. I also find it to be a bit clumsy in performance as it’s quite an old piece of software now. While I have had lots of issues with Chicken Systems software before with working as advertised, I often am able to get it to do what I need for most of my sampler needs. 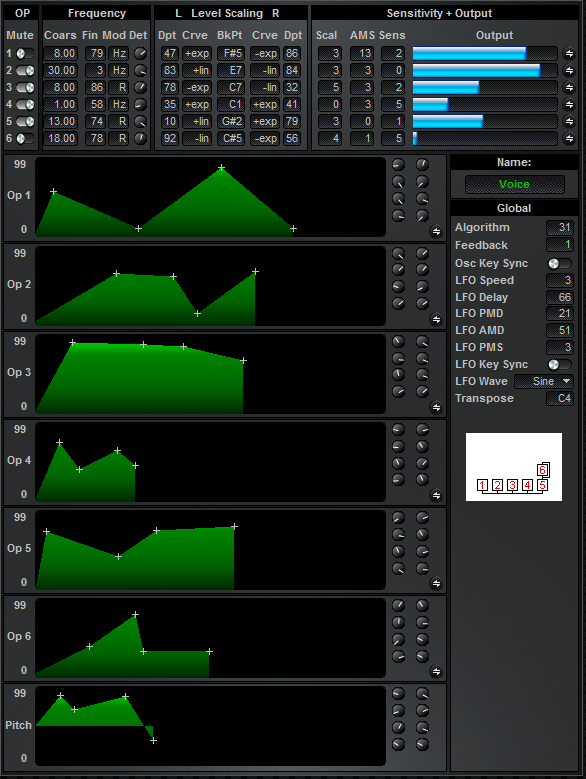 Recently the Creator series of software products was announced and being a user of the successful Motif Creator, I was excited to see the Beta version of Fantom Creator released. However, I’m sorry to say that it probably should not have been released as I don’t consider it to be ready at all for Beta stage. It simply does not work at all. Recently, I made the blunder ( although I knew it could happen from experience ), of buying into the Fantom Creator for MAC waaaay before it was finished. It’s now November 16, 2015 and while the sale is still going on, the Beta version is absolutely not ready at all for prime time. (More like still in Alpha ). Note I wrote the date because it will be interesting to see how long it actually takes for this software to get corrected. The original announcement of the Beta was back in August 2015. It’s now three months later and nothing new. I found after purchasing that there is absolutely no difference between the paid and free versions other than the price. You cannot save samples, documents or anything in the paid version so don’t do what I did and buy the darn thing until it’s ready. In fact, I’ll update my post here when you can finally start saving patches. Right now, the only good thing is I got the software for half price, but I can do absolutely zero with it. It’s a brick sitting on my computer right now. Yes, I perfectly knew it was in Beta and I expected it to work VERY little quite frankly with regards to format importing, editing, and a few other things. However, I didn’t expect that the software wouldn’t at least save a basic patch. I simply wanted to import a Wav file, create a multisample, then make a patch for saving to the Fantom. Nope! No can do I’m afraid, not even in Beta. I have MVkit, Motif Creator, and Translator. They all work pretty well and I can recommend them so there is some hope here in the distant future. Thus I cannot recommend Motif Creator for the Fantom yet. Save your money, and I mean even if it’s 50% off. You won’t get anything different than the free version ( I’m on Mac btw and it could work on Windows but I haven’t tested that yet. ). I feel bad for anyone who bought this three months ago when this was originally posted. Hopefully not many did. Note that when this software is ready, it will definitely be worth the original price even. It’s a good idea and I know with my experience with the Motif Creator it will eventually work. It’s just not ready to even be in Beta much less sold to the public. Again, I’ll update this post once my copy of Fantom Creator can actually do something. If anyone else has purchased this software and has it working, please let me know. I desperately am hoping I’m wrong about something setup wise. So far, no go though. Note I know this is a tiny bit of a rant, but when we buy software we at least expect even in Beta to have the product start and finish with problems in between. That seems reasonable to me. To have a product start but not finish with making a simple patch is crazy. I’ve never had that happen before. UPDATE #1: I tried installing and registering with my Windows 7 computer. Unfortunately I can only install and run one instance of the program. So I’m back to square one. The program simply doesn’t work on a Mac yet and probably Windows as well. We’ll wait and see. UPDATE #2: Chicken Systems Fantom Creator Version 0.9 Build 25 now allows for saving documents but literally breaks everything else. You cannot edit, import, audition (via midi), or key map anything in the program. Yay, I can save now, but it seems easier to just import directly to the Fantom X or G.
UPDATE #3: I have all but given up on this software. It simply does not work at all and I’m tired of submitting bug reports that should have been found and fixed from the very beginning. At this point, Fantom Creator is a waste of money. We’ll see what 2016 brings. Stay tuned! UPDATE #4: Version 1.2 Build 27 has been released on 12/18/2015! What’s new is posted in the comments. I’ll run through the fixes and let you guys know if things are working better. Hopefully this update will at least allow me to use the software in basic form. It simply does not work at all. Sorry folks! Fantom Creator is still a waste of money. Update #6: Here we are in January! 1/18/2016. 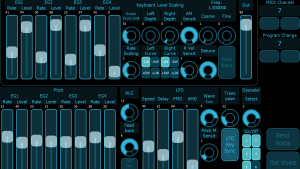 It’s been exactly one month and Fantom Creator Build 28 was released. It’s now broken!! Hopefully you saved the Build 27 update, because the multisamples are no longer attached at all to the patches. It’s just one more thing you have to do manually. Plus nothing stated above has been fixed either. Whatever you do, don’t update to Build 28. It will break the multisample section. Update #7: I received my Fantom Creator CD Rom in the mail on 2/8/2016. The CD Rom contains Build 28 so I’m glad I kept the Build 27 to revert to. I’m still using Build 27 as Build 28 breaks things. No new updates yet. I’m anxiously awaiting Build 29 that hopefully will fix Build 28 issues and more. 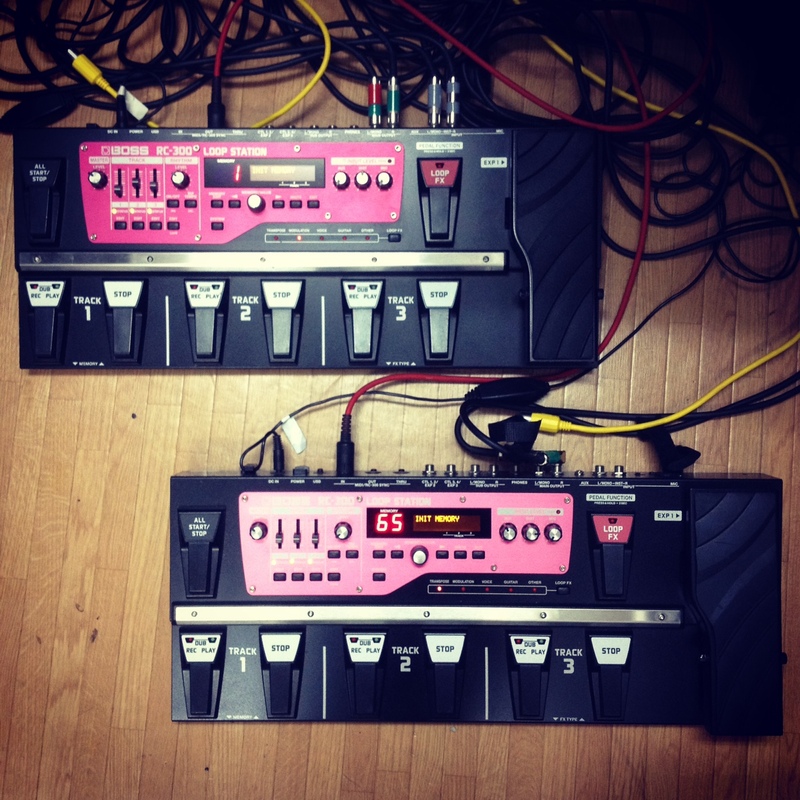 This week I found another Boss RC-300 at an old secondhand shop in Nagano-city. I actually use my first Boss RC-300 quite extensively and probably will never sell it unless something better comes along. Although I love the RC-505 Loopers, you can’t effectively use it with your feet. So the Boss RC-300 is still “the Boss” for the floor..laugh. What I wanted to do was understand better how to sync the two RC-300 Loop Stations together as explained in the manual. After working with the pair for about an hour I discovered some important points about this setup. Most importantly is, YES, two RC-300 Loop Stations sync perfectly when setup exactly as indicated in the manual. Set the slave to sync via midi and make sure the Sync All Start/Stop is set to Start/Stop. Also make sure of course that your midi cables are setup properly with the Master out going to the Slave in. You only need one connection from the Master to the Slave. One MAJOR omission from the manual is that you cannot have the master in “Singular Track Mode”. Singular Track Mode is where you run each of the three tracks in singular fashion rather than layering them. The reason is that when you press the “All Start/Stop” on the Master, it will NOT start the Slave RC-300. You must have it in Layer “Multi” Mode and THEN it will start the Slave RC-300. Now the Slave RC-300 can either be in Track or Layer Mode. It doesn’t matter which, so this is nice as you can then use the slave for your Track Mode if necessary. On the other hand, you CAN set the Master to Singular Track Mode and it will send the midi clock signal to the slave RC-300. It just won’t start playing any of the tracks. This isn’t a problem if you don’t mind starting the tracks on your own. If you then press “all stop” on the Master, it will successfully stop all tracks. Basically, my initial plan was to put three different drum loops on the Master RC-300. I then wanted one Bass Loop running on the Slave. I wanted the Track 1 drums to start and have the Track 1 bass start at the same time, however this won’t work as the Master RC-300 is in Singular Track Mode. If I set it to Multi Mode, then all three drum tracks will start playing along with the Track 1 Bass on the Slave. So I basically have to start the drums and THEN step over and start the Track 1 of the Slave if I want it to work my way. Indeed it all will be in perfect sync but it literally means I have to add an extra step…laugh. Everything else so far works great and MUCH better than trying to sync a Boss RC-50 with the RC-300. Stay tuned for further updates as I research this setup a bit more. Wow! Long time no post! I picked up a used Nord Lead 2 this week in Japan. They are VERY cheap in here compared to the States, so I’ve been lucky to now have three in my arsenal. I happen to really like the Nord Lead 2 the best actually which I’ll probably explain in a later post. The latest OS version is 1.06 while the oldest is v1.03 if correct. 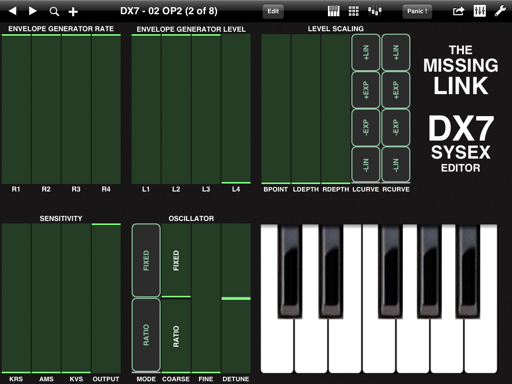 I have two synths on v1.06 but this latest NL2 came with the old v1.03. I found out that the chip used with the version 1.03 NL2 was an ST M27C4001 DIP32 chip made in Singapore. The v1.06 chips are AMD AM27C040 DIP32 chips made in Malaysia. I decided to rip both the v1.03 and v.106 OS to create .bin backup files. I then proceeded to erase the v1.03 EPROM chip using a UV Light Eraser. I was then successfully able to burn a new v1.06 chip using my MiniPro IC chip burner which has been working fantastic. I’ve burned so many chips with that thing. 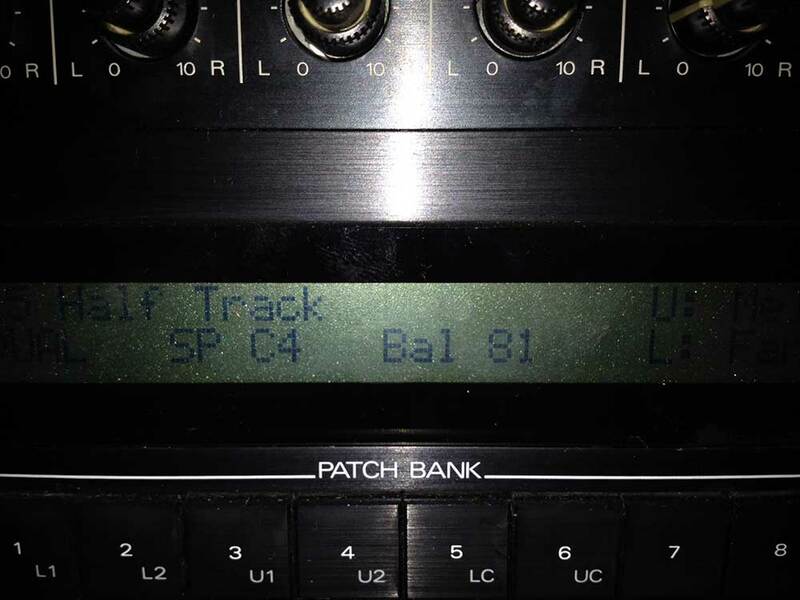 Upon powering up the Nord Lead 2, I was able to see the v1.06 version pop up onto the screen. After testing the sounds, everything seemed to work great. To order a chip from someone with the latest v1.06 OS on Ebay would have cost me about $50 plus a week or two of waiting. I found swapping the OS versions using the original chip worked out great. I highly recommend investing in an IC Chip Burner and UV Light eraser. It really makes updating, programming, and working with your own IC chips much easier and of course less expensive. By the way, I’m back on the blog front after a nine month hiatus attempting to move my “growing” family from Japan back to the United States. After several setbacks and a few turn of events, I’ve decided to stay put in Japan. I’m so very glad to be out of the job search and agony of deciding whether to move or not. Ultimately I decided to follow the idea that if you’re life ain’t broken, the stop trying to fix it…laugh. Now I’m happily back into music stronger than ever. The very first Nord Lead I bought was the Nord Lead 1. Outstanding!! I love the Nord Lead 1 and it is probably the best sounding of all the Nord Leads, however, there are TWO MAJOR problems that ultimately lead me to the Nord Lead 2x. One problem was no split keyboard. 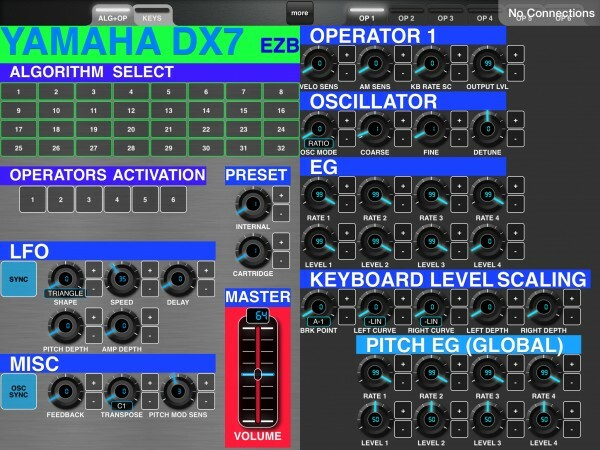 I needed this for my live shows in order to minimize the number of synths on stage while getting access to more playable sounds. The second biggest problem was no Arp hold. I sing, play guitar, and work with synthesizers so I can’t be having my foot stuck on the sustain pedal or worry about missing the beat when making the arp changes. I need Arp hold and the Nord Lead 1 doesn’t have it. Some might say the lack of on board memory for programs and performances is a drawback which it is, but that didn’t bother me as much as having no split keyboard of Arp hold. So, I was on to the Nord Lead 2x which is a beautiful synth and it had all the bells and whistles that the Nord Lead 1 lacked. I now had plenty of memory, a split keyboard, and Arp hold. I should have been satisfied and I was for about a year but then realized that I really liked the Sound of the Nord Lead 1. If I wanted that RAW LEAD sound, I needed to have the Nord Lead 1 because the 2x just didn’t have that warm grit that the first generation had. I’m a big fan of the Prophet V and the Nord Lead didn’t really sound like one, but it had the dynamics of one which allowed me to play music that often had a Prophet V in the mix. I then heard that the Nord Lead 2 was similar in sound to the Nord Lead 1. Thus I moved on and bought the Nord Lead 2. Now, the Nord Lead 2 in my opinion is definitely the best between the Nord Lead 1 and 2x. It has the sound of the Nord Lead 1 ( close enough ) along with the Split Keyboard, Arp Hold, and the memory card for storing programs and performances. It pretty much has most of what the 2x has and everything the Nord Lead 1 had. When I first played the Nord Lead 2, I ended up playing it virtually all night. It was finally the right combination of functionality and sound. It was THE BEST Nord Lead I had played to date and I was very happy, until I got my hands on the mighty Nord Lead 3 ….crap!! Everyone knows the interface of the Nord Lead 3 is better than any Nord Lead produced both past and present. 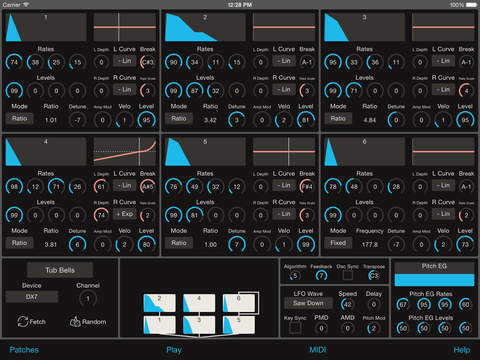 In fact, many will argue it’s one of the best synth programming interfaces of all time. Of course there are other synths that are right up there with the Nord, but with those rotary encoders and the LCD showing the precise values of each and every turn, it’s hard to argue why anyone would settle for less. Unless…. unless the sound was not up to your standards. That has generally been the problem with the Nord Lead 3, the tinny sound most people say it has. I actually found it to be an amazing sound primarily because as an 80’s kid, the FM sound was huge during that decade of music. Of course analogs were popular in the early 80’s, but with the release of the Yamaha DX-7 and later the D-50, digital was king and I feel for that reason, the FM aspect in the Nord Lead 3 is essential “for me” in playing 80’s style music. YES, you can get sweet analog sounding patches out of the Nord Lead 3 but you need to create them. They are there, perhaps not the Nord Lead 3 strongest suit, but there is ample programming power and creative combinations to get the 80’s analog”ish” sound. You just need to really dive in and program it. I thus found over the past two months more and more interested in the Nord Lead 3. I wasn’t playing the Nord Lead 1 or 2x hardly at all. I pretty much had confined myself to the Nord Lead 2 and 3 versions because in combination they covered the FM and Analog sounds perfectly for the 80 synthpop music I liked to play. I was doing fine when a nice shiny new Nord Lead 4 fell out of the sky and landed on my lap. I good friend at a local music shop in Japan gave me a deal I couldn’t pass up on a B Grade model. Whatever B grade meant, I had practically a brand new Nord Lead 4 in my studio. I quickly dove in and “almost” fell in love with it. I say almost because at the end of the day, I kept going back to the Nord Lead 3. Was it the FM sound? Or the awesome encoders? Maybe it was the that the sound was different than the other Nords that I felt it was better in the mix. At the end of the day, I think it was just that. The Nord Lead 3 fit better in the mix with pretty much every sound I created with it. The Nord Lead 4 while SUPERB SUPERB SUPERB, it just wasn’t quite grabbing my attention enough to pull me away from the Nord Lead 3. It did well to distract me from the Nord Lead 2, but not the Nord Lead 3. Thus to finally answer the question in my title. 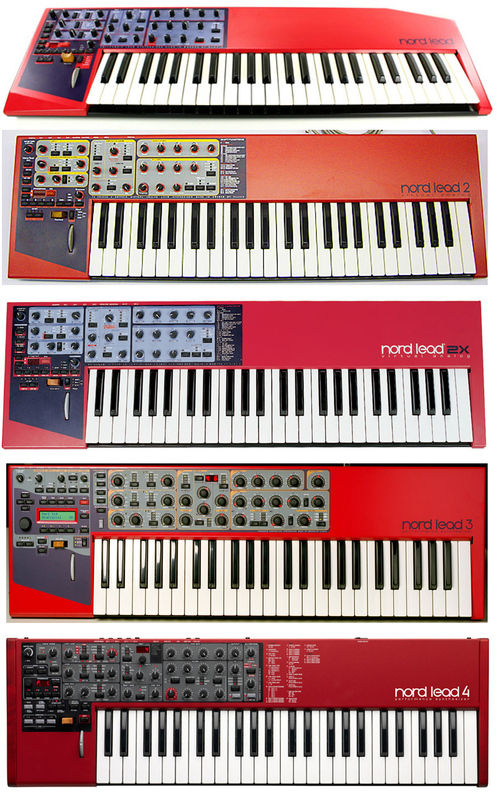 Which Nord Lead Synthesizer do I like the best? THE NORD LEAD 3 SYNTHESIZER!! Note: I have not tried the Nord Lead A1 yet, but it’s on my radar. 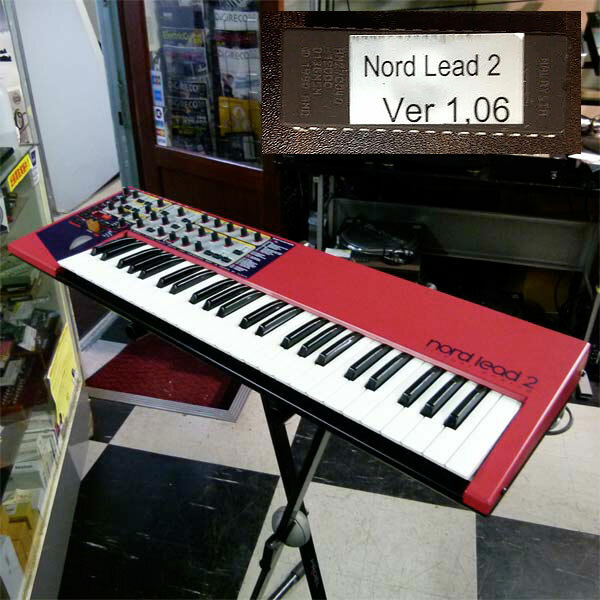 In Japan the Nord Lead A1 is the most expensive of all the Leads right now. I actually think it’s too expensive and will waiting until next year to check on out. Until then, I think the Nord Lead 4 should fill in nicely. With success replacing the LCD screen on my Akai S900, I thought I would try to do the same for my two Roland D-550 sound modules that both are legible, but with no back light. I could get a foil backlight for the LCD, but to me they seem rather expensive. I was able to get the LCD screen for about $10 and if successfully installed could prove better for me than having a foil. The screen on my Akai S900 is amazing now and if I could get the same look for the D-550 that would be fantastic. Right now with what I’ve learned in my research, the actual LCD installation is not the probably, electrically, rather it’s whether the size will fit well or not. Indeed the thickness of the original is about 9mm and the one I purchases is a bit thicker at 13mm. The big hang up will be whether I can fit this into the D-550 or not and if not, whether I could make room for it with some modifications. If so, then the installation should be pretty straight forward. I should get the LCD sometime next week and should then be able to install shortly thereafter. Stay tune for updates and hopefully I’ll have some good results to post. I know a few people are looking to do the same. Thanks!